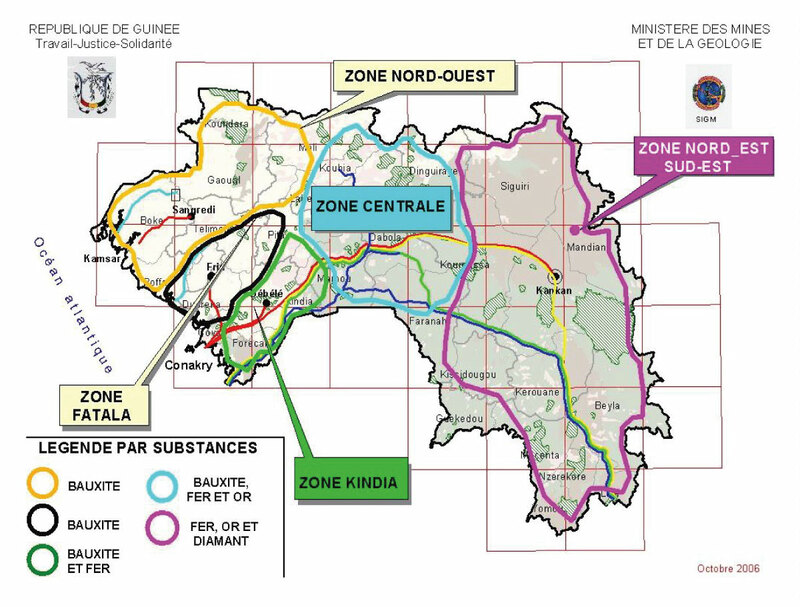 The Republic of Guinea is Africa’s largest producer of bauxite, and its extensive mineral resources include the largest untapped high-quality iron ore deposits in the world. Yet for too long its vast potential for external investment has gone unrealised. Previously dogged by mismanagement, its recent transformation into a stable, open and forward looking country under its first democratically elected President has brought renewed attention to its untapped capacity for businesses opportunities. 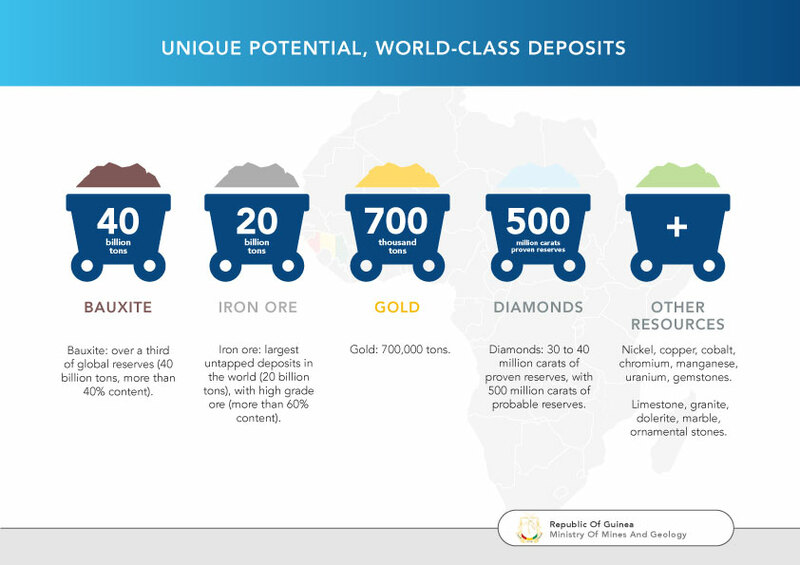 Bauxite: over a third of global reserves (40 billion tons, more than 40% content). Iron ore: largest untapped deposits in the world (20 billion tons), with high grade ore (more than 60% content). Diamond: 30 to 40 million carats of proven reserves, with 500 million carats of probable reserves. Nickel, copper, cobalt, chromium, manganese, uranium. Limestone, granite, dolerite, marble, ornamental stones. The Government has overseen a complete overhaul of the country’s energy production, harnessing the power of new technology to deliver some of the most significant projects in the country’s history. The opening of the Kaleta hydroelectric dam in May 2015 resolved a capacity shortfall that had for 50 years prevented the country from reaching its full potential. 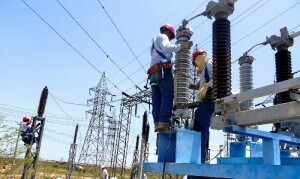 The successful delivery of the project under President Alpha Condé heralded a tripling of electricity production, delivering unprecedented benefits for Guinean citizens. Besides, the new energy situation allows mining companies to increase their operational capacity and accelerate the development of their activities. The Government is pressing on in its crusade to revolutionize the country’s infrastructure, and taking its partners with it. Following on from Kaleta, an even larger, 500-megawatt hydroelectric dam at Souapiti is nearing completion. The dam will almost double the country’s energy output and create even more capacity for mineral processing.